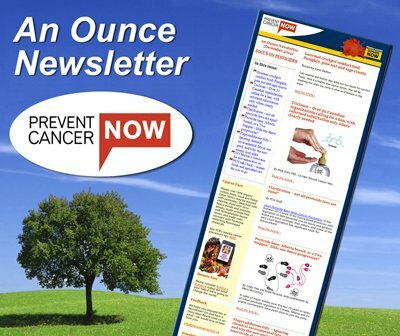 Prevent Cancer Now » Consumer products: get the toxic chemicals out! We continue to be bombarded with consumer products containing toxic chemicals. Even though levels of these chemicals may fall into the ‘trace’ category, this doesn’t mean they’re not hazardous, despite what chemical industry representatives so often say – their products are safe and we should have no fears. We use many of these products on a daily basis, and for a significant part of our lives. This certainly justifies skepticism about low levels of toxic chemicals in consumer products being safe. In the federal government’s Chemicals Management Plan – Challenge Program (Batch 3 – final assessment), several toxic chemicals – namely solvents and one pigment/dye – were designated as being toxic to human health. One chemical (Pigment Red 3) was deemed carcinogenic and the others categorized as having ‘the potential to be toxic to the human reproductive system and human development’. From government documents, Red Pigment 3 is used in 2 soaps, with one intended for use by children. Our government’s plans to deal with the presence of these toxic substances in consumer products are disappointing, to put it mildly. There are recommendations to monitor exposure levels, sometimes reduce usage, notify the government if use patterns of these toxic chemicals change, and add these chemicals to Canada’s Cosmetics Ingredient Hotlist. However, it is not clear if additions to the Hotlist will translate to the toxic chemicals being prohibited, or even restricted in cosmetics. And why is it that suggested alternative substances do not seem to be any less toxic than the chemicals being replaced? This is truly counterproductive, as the goal should be to reduce and eliminate the presence of all toxic chemicals in consumer products. Non-governmental organizations continue to submit their comments regarding toxic substances as they relate to the Challenge Program. Some of these submissions can be found here.